GET A WORKAMPING JOB TODAY! Do you want to get paid… to camp?! If so then you’re going to love this article. I’ve got great news for you: YOU CAN. Become a Workamper! It’s not difficult to find Workamping jobs, and armed with the right information you’ll know exactly where to look. There are many different types of workamping arrangements, both paid and unpaid, but most all come with complimentary or discounted amenities such as an RV spot with hookups, laundry and even wifi! There are different benefits with different Workamping jobs, and not all Workamping jobs are at campgrounds! You can find work in many different industries as an RVer – not just camp hosts! 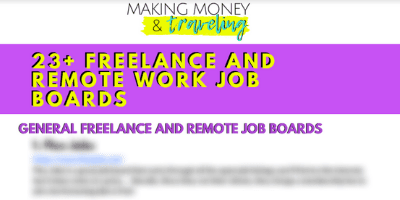 After reading this article you’ll know all about Workamping and exactly where to go to find the paying Workamping jobs. 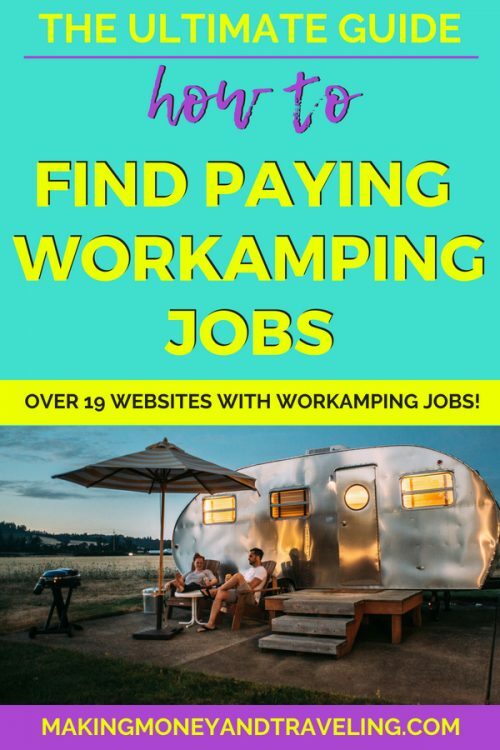 Workamping – aka Work Camping – In a basic definition: Workamping is trading value (services, skills or labor) while living in an RV, van, etc usually in exchange for a “free” campsite and in many cases, a salary. Campground and park hosts are some of the most common Workamping arrangements, but they are far from the only ones. There is a common misconception that Workamping is primarily for retirees looking to supplement their retirement. This isn’t entirely true. 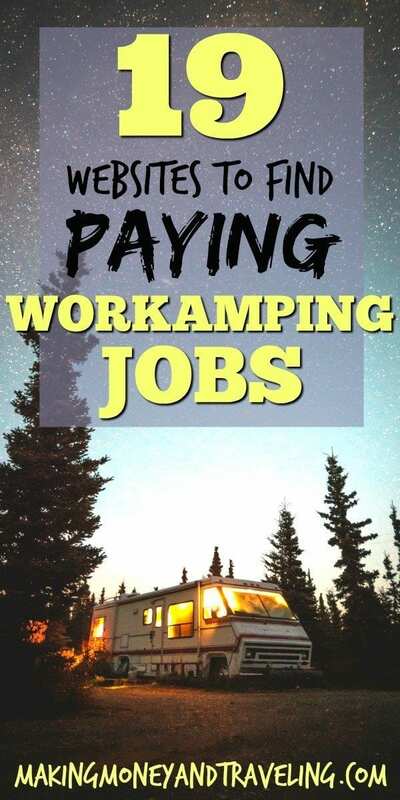 While it is true that many retirees are also Workampers, this does not mean that Workamping is not for non-retired RVers. People of all ages across the country are using Workamping as a means to make money and travel. Another common misconception that I see is that Workamping is only for couples. 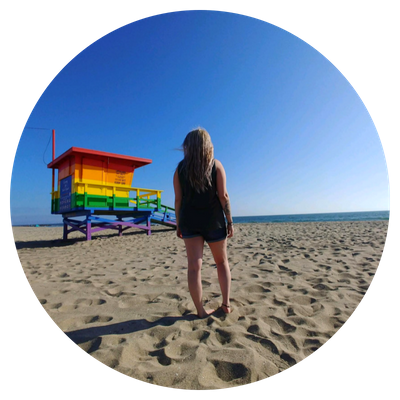 While there are a lot of campgrounds out there looking for couples to come work for them, you will find that many of them don’t require you to come with a partner… They simply want help! Even some Workamping positions that are looking for couples will make exceptions for a solo traveler, or someone who travels with a partner who can’t work due to outside reasons. Tl;dr: Workamping is for anyone and everyone, solo or coupled, living the RV, Van and even Bus life! When I first started out as a Full-Time RVer, I jumped right into Workamping. In fact, the very first campground I ever stayed at in my RV was a State Park in Texas where I Workamped for the Summer. 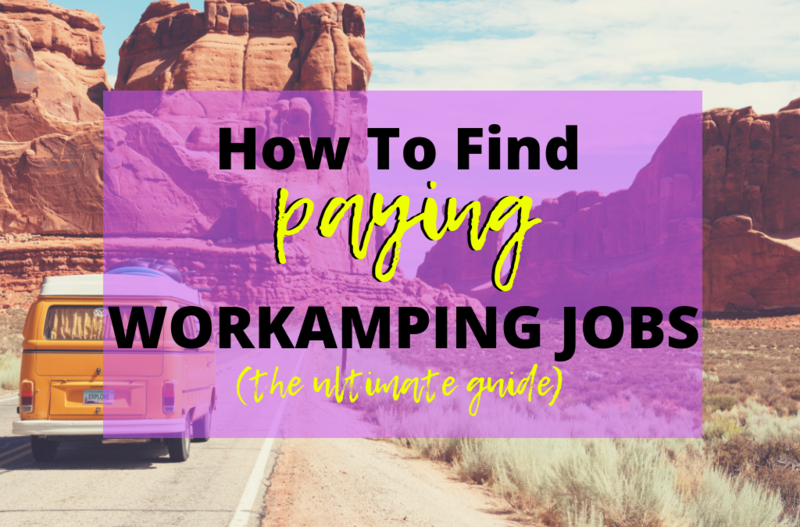 While on that job, I performed a variety of tasks for around 20 hours a week in exchange for a free campsite and laundry – it was unpaid because that’s all I needed at the time, but Workamping can be a great option to fund your RVing lifestyle! Whether you want to find a workamping job for a short interim or if you’re planning on funding your lifestyle this way, there are several resources to help you do so. Several RVers and campers have made working at various Workamping jobs their lifestyle, and make a good living at it! Success comes with knowing where to look and how to apply for these workamping jobs. There is really no limit to the type of work you will find as a Workamper. Some Workamping Jobs are as Camp Hosts, Receptionists, Office Work, Computer Work, Janitorial Work, Maintenance Work, Farm Work, Camp Counselor Work, Park Rangers, Security… The list goes on and on. Resume: You don’t have to include a resume when applying for Workamping jobs but whether you do or not, you will be providing the employer with job and life experiences that are going to influence their decision to hire you. When applying to Workamping jobs be sure to place emphasis on any particular job or life experiences you have that will help you with the job and the tasks required. The more relevant you can make your skills and experiences, the more likely you are to be selected for the job. If you’re using your resume, it’s a good idea to update it for each new job to tweak it for what they’re looking for specifically. Apply First: I don’t mean be the very first person who applies to any workamping job EVER, but what I DO mean is to apply early by checking often. It is a good idea to plan in advance to ensure you have a job when you need it and the best way to do this is to start looking early, look often and apply to new jobs that you want as soon as you see them. Set Yourself Up For Success: Don’t put all your eggs in one basket. Don’t expect to get hired for the first job you apply to. While this can and may happen, it’s not a good idea to count on only one. Even if you only have 1 favorite job out of 10 you could possibly do, it’s better to apply to all of them instead of just the 1. Give yourself options and you’ll have a better chance at securing a workamping job. Most of these websites and job boards are free, but websites like Workamper News charges a monthly fee to make sure they’re bringing you the best and freshest jobs available! These websites are going to be an invaluable resource to you on your search for Workamping Jobs throughout the US and even abroad. As you may have noticed, there is no shortage of job boards out there for the RVing and traveling community and workamping jobs are in high supply, so what are you waiting for?! The scariest part in making a change (such as going from a static life and a 9-5 to workamping and traveling) is almost always the fear that comes BEFORE you do it. Don’t let overthinking and what-ifs ruin the chance of a lifetime! HAVE YOU HAD ANY WORKAMPING JOB EXPERIENCES? WHAT DID YOU THINK? LET ME KNOW IN THE COMMENTS BELOW!